Written By Me is a creative act with over 20 years experience in the world of music. The songs here are presented in a delicate and rather beautiful way, the music feels very honest from start to finish, and within the collection there are some deep moments of realness that reach out to connect in an ultimately comforting fashion. All Night Long is a definite early highlight, bursting into life with a chorus of vocals that offer a simple but stunning melody – one that resolves at the end of each line and simultaneously offers personal truth and reflection in a captivating manner. After this, Know presents a new leading voice, though the guitar-sound is familiar now, and the melody has a certain RnB smoothness to it. The emotion is strong here, the song cries out for answers and for peace of mind. The set-up is minimalist once again, but the voices work hard to give off this big sense of presence, and it works – things build and build as the song progresses. The piano and the drums add a subtle touch of rising energy, but it’s undeniably this heartfelt, desperate vocal plea that holds the most power. Fire Rise is a song with something of a nineties emo or pop-punk melodic style, the ambiance is gentle though, the lyrics are beautiful – fire starts with a golden heart – it’s a short but thoughtful and memorable track. The duet version of the same song continues the feeling and reiterates that recognisable strength in a bold and multi-layered manner. Standing out quite uniquely from the collection is the song Solo. This one feels like a live performance, the guitar appears as if being played in a freestyle, in-the-moment sort of way, the two vocal parts also have a very authentic, up front and personal presentation to them. It creates an intimate experience that makes the lyrics stand even taller. The personal, human touch reminds you of the real experiences that led to the songs. That lyrical longing floats throughout yet again. School Days is a gently joyful acoustic song with a mellow pace, some nostalgic, calming ideas, and some beautiful melodies and vocal harmonies. There’s a raw, very pure feel to this whole collection that isn’t all to often presented in modern music anymore. WBM doesn’t hide behind effects and weight and volume, it just is what is – this is art as presented in the moment, emotional and genuine. Hide Away is an absolute highlight and offers so much at the final hurdle – higher energy, poetic imagery, another wonderfully progressive melody. The structure of the melody is superb and lets the sentiments of each line shine with unquestionable brightness. These images of fire draw you in, and though the beat and the chords are present, they’re simple in nature, so still your focus is on the voice – these ideas, these stories, this inherent desire to hide away. Hide Away is intriguing and compelling to witness, so much so that a single listen is far from enough to truly take on and connect with it all. There’s a vulnerability within the delivery, a certain level of openness, and this is what makes people turn to certain songs and certain works of art – for that willingness to speak those inner truths, to lay everything out on the stage in a bold and beautiful way. 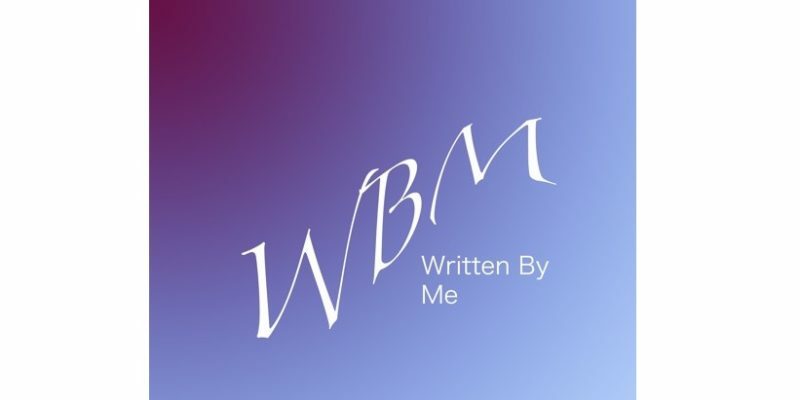 There’s definitely a thread of character throughout all of these songs, experience and passion combined have led to this, and it’s how you’ll know when what you’re hearing is the work of WBM. An easily enjoyable collection with not a single moment that lets the experience down. Listen to the songs here. Find & follow Written By Me on Twitter.